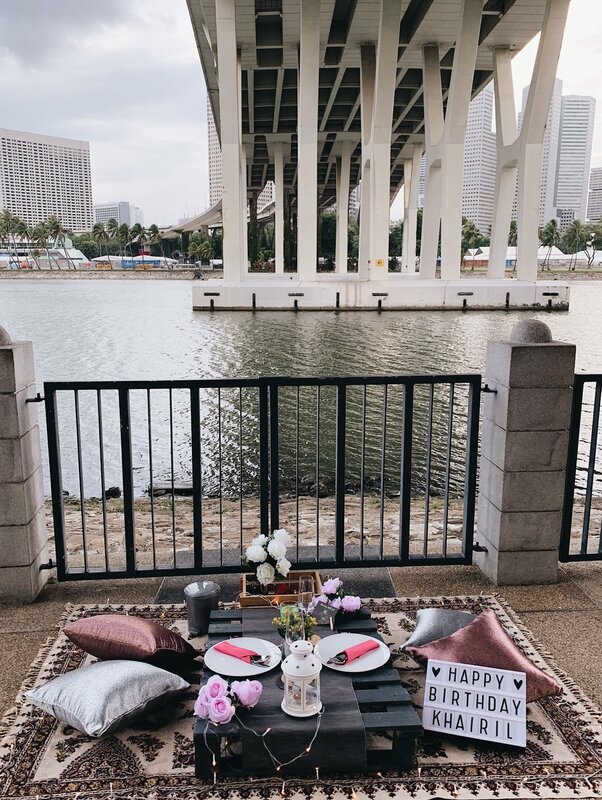 Love the reaction of this beautiful couple when they saw this setup by the city view under a sheltered area. We keep it cozy for them. A lovely surprise for the partner and candle light dinner craved since forever.